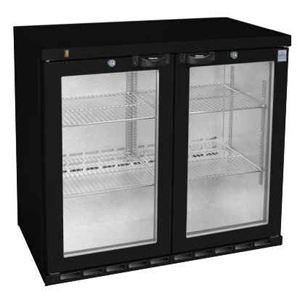 The Osborne eCold 220ES Undercounter Hinged Door Bottle Cooler is slightly shorter than the 250ES for convenient undercounter placement in commercial bars. With a large 200 bottle capacity, this cooler is designed to cater for busy bars. The 220ES is manufactured from high quality materials including a rust resistant zinc-coated steel exterior, double glazed doors and uses ozone friendly polystyrene insulation.